Depending on your nationality it can be a difficult and expensive process to visit China. Today I’ll discuss how you can “sneak” into China and enjoy the beautiful country without so much hassle. It sounds like a difficult, illegal process out of a movie, but luckily it is quite simple and legal. In 2013 China adopted an international visitor or 72-hour visa free transit to allow tourism to increase among some of the major cities in China. This visa is completely legal and FREE, which allows you three days to explore some fantastic parts of China without breaking the bank for an expensive visa. The process is simple, all you need to do is book a DIRECT flight into China from country A and depart 72 hours later to country B DIRECT (there can NOT be any layovers in China for the transit visa). For example. I flew from Sydney, Australia to Shanghai, China where I enjoyed three days exploring the city and then took off to Seoul, South Korea. You are able to take advantage of this visa as long as you fly in from one country and exit to another. The cities that are eligible in China are: Shanghai, Bejing, Guangzhou, Chengdu and Chongging, Shenyang and Dalian. The observation deck on the 94th story offers a great view of the city, although I think it was overpriced. $22 to get to the top, and there isn’t a bunch to do while you are up there. (Check the weather, the smog might make the view non existent) I recommend going on a clear day around sunset, so you can witness the day and night of Shanghai. 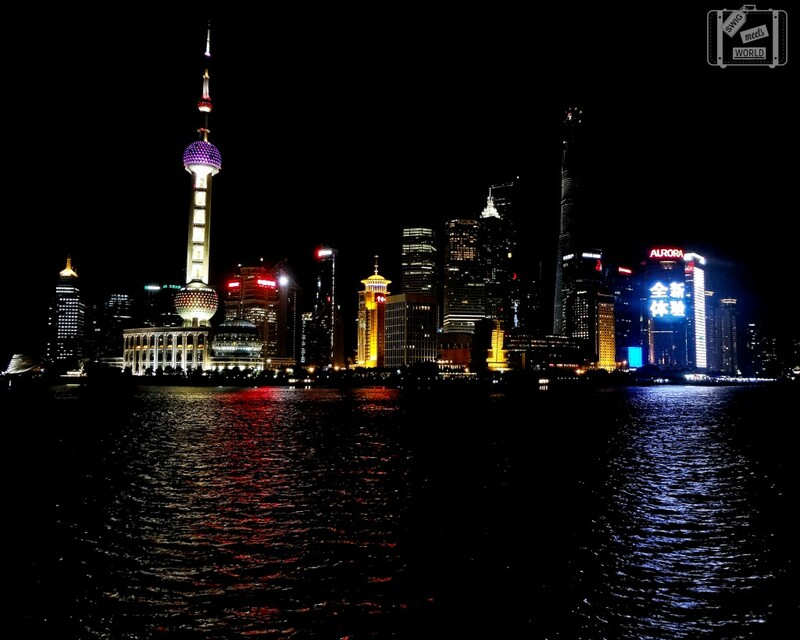 Also don’t forget to check out the Shanghai Skyline at night. 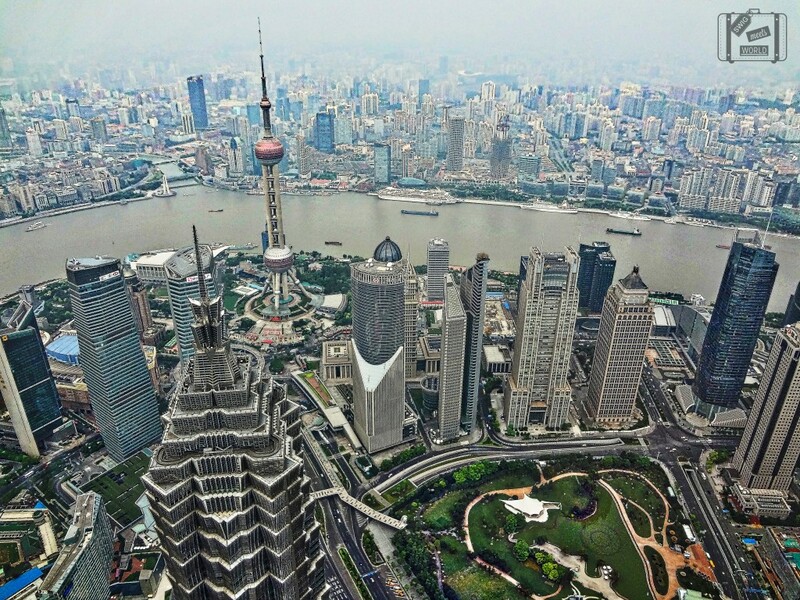 The best view is from and are called The Bund. This place is full of shops and make sure you take a stroll along the beautiful riverfront boardwalk. China has some great cheap knockoffs that are actually pretty high quality. Head to the Tabaco Cheng metro stop to do some shopping. This place is great for souvenirs, but don’t expect anything that is high quality. Although my $7 fake Beats Bluetooth speaker is still working 8 months later. Shanghai was my first experience with real Chinese food, although each city in China has a unique specialty. Shanghai offers some amazing food and is famous for the dumplings (Called Xiaolongbao or 小笼包). Don’t expect general Tso’s or Egg Rolls. This club called The Shelter is pretty cool; it is an old bomb shelter that was turned into a dance club. The night we went here it was mainly Drum and Bass, but the crowd was great and it was a great night. Drinks are reasonable and I recommend coming a bit later in the night. There are a few other bars/clubs in the area if the scene doesn’t fit your idea for a night out. Click here for more information and the address of the club. As for places to stay I compiled a list of the best sites to book for any accommodation, tours or flights. I always reccomend HostelWorld or check out my Travel Resources Page for more information to save money. Safe travels! Why should I visit China? There is any empty space in China? I think the question is unique to your own interests. There are tons of amazing things offered in China. First off it is a rather affordable country to visit which offers wonderful site seeing, culture, long and interesting history, exciting night life. I think China has something to offer for everyone. I would add a visit to the world class Shanghai Museum. You can continue through the People’s Park to watch the locals relaxing playing cards, performing tai chi…If you are hungry try the Barbarossa restaurant situated in the middle of the People’s Park. You can visit the Shanghai Art Museum too. It’s free entry for permanent exhibitions and there is a symbolic charge for temporary once. Tara, Thanks so much for the information. I will definitely check out these places next time I make it to Shanghai. 3 days only gave me a small taste of Shanghai, I’ll be back for sure soon! I’ve been to China twice and would love to go back again. Helpful information! There is so much to see and do in China! I think this is among the mot vital information for me. My husband & I had a long layover in Beijing where we used the free transit visa. The process was pretty quick & painless. We loved that we were able to go out to the city to explore instead of sitting around the airport.